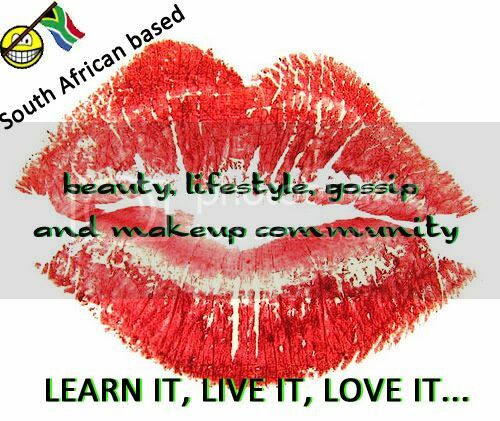 Daily banter, style, beauty, celebrity and not to mention makeup is what we’re all about. Started in 2008 by flea143 and Sandylashxx, Pout Perfection offers insights from hand picked selected columnistas who all have one thing in common – makeup artistry. That being said, each columnista brings their individuality from vegan to boerewors we offer it all with our unique and wacky opinions to ensure all round fantastic content for the ultimate enjoyment of our reader base. Easy to spe ll, hard to forget. Makeup artist. Photographer. Hippy. Colour Lover. Happy Snapper. Expat Mancunian. Scuba mad. Opinionated. Free spirit that cannot be confined to an office. Gloss lover. Business owner and short term insurance broker by day, wonder woman by night. Makeup artist, food blogger, friend, sister, wife, frenemy, emotional rollercoaster in human form & mom…. I eat more than I type. Taking life one day at a time. Enjoy it while it lasts. I’m your average girl, I have an Iron Fist shoe fetish that at times are seen as a tiny obsession. I’m a very straight forward and honest person, but who ever said honesty is a bad thing 🙂 I’m not a girly girl, although at times i love dressing up and looking fabulous, I have been in the Industry on and off for about 13 years, where i’ve gone from commercial to alternative modeling and back and even now you can still see a bit of both in my work 🙂 I’m the kind of girl who doesn’t care about looks as beauty fades, i sometimes snort when i laugh, I absolutely love modelling purely because its my way of expressing myself! I’m not stuck up nor do i think the world of myself. I’d always want to be update on new blog posts on this website, saved to fav! Pretty nice post. I just stumbled upon your weblog and wished to say that I’ve truly loved browsing your blog posts. In any case I will be subscribing on your feed and I hope you write once more very soon! Purely to follow up on the up-date of this subject matter on your blog and wish to let you know how much I loved the time you took to put together this handy post. In the post, you really spoke on how to really handle this thing with all ease. It would be my own pleasure to get some more concepts from your site and come up to offer other people what I discovered from you. Thank you for your usual wonderful effort. Hi there, popping over to your blog right now! Hope to see you around here more often! I like this weblog very much, Its a really nice post to read and incur information. “Let not thy will roar, when thy power can but whisper.” by Thomas Fuller. Nice meeting you at the boot camp Fi. Lovely blog.